With the success of the Plymouth Duster, Dodge realized they too needed an entry level muscle car. Thus, the 1970 Dodge Demon was born. Not surprisingly the car was somewhat controversial due to it’s “evil” name and corresponding devil with a pitchfork graphic. Anyhow, despite some minor cosmetic changes the Demon was essentially a Plymouth Duster. As with the Duster, you could order a base Demon with 6 cylinder or 318cid. 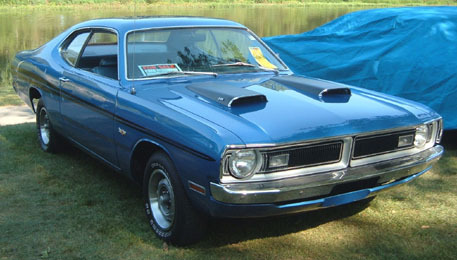 The other option was the Demon 340 and carried identical specifications to the Plymouth Duster 340.